Cougar Of The Week Comes From The Blind Side ! Alexander Central continued their quest for a conference championship and a perfect season last Friday on Senior night against St Stephens. The Cougars jumped to a 36-0 halftime lead and cruised to a 59-21 victory. Again, plenty of nominees for the Cougar of the Week Award. Offensive lineman are the lifeblood of any football team, just about any coach will tell you that. They too often go under appreciated by fans because they typically don’t score touchdowns nor make tackles. What they do is obscured by the traffic at the line of scrimmage. Watch any football game and do this, don’t watch the ball for a series or two. Watch the action at the point of attack, watch who’s winning the line of scrimmage. If you do that, chances are you’ll figure out who’s going to win the game. He blocks the blind side of QB Gunnar Anderson and he’s a big reason why the Cougars are on the cusp of a league tittle. 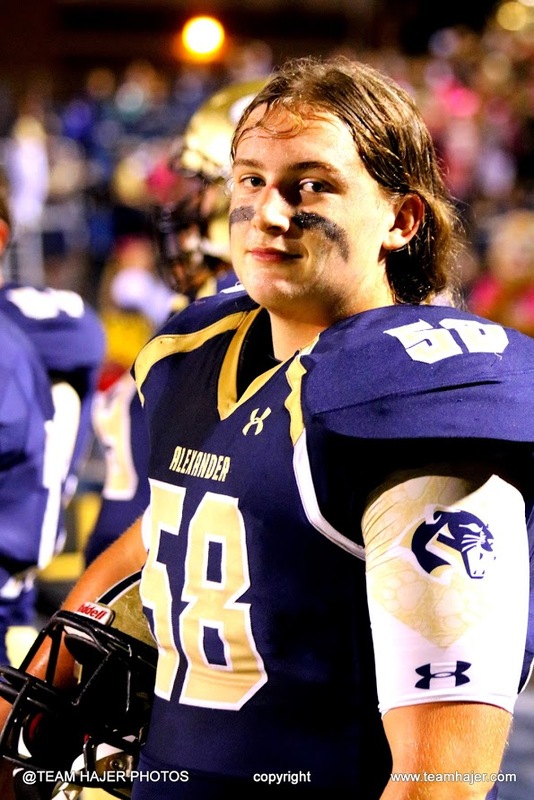 The Custom Framecrafters-B86 Cougar of the Week is Senior Offensive Tackle, Kyle Phillips. Look for #58 and see what the coach is talking about !